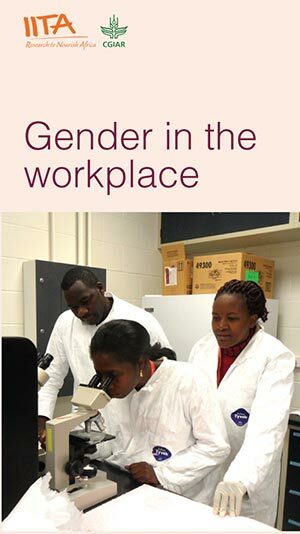 IITA continuing efforts to mainstream gender across the institute received a boost with the release of the first factsheet on “Gender in the Workplace”. The factsheet provides information about the Institute’s commitment to the promotion of gender equality and equity. It essentially presents what has happened, what is happening, and what will be happening. The document is the first of many envisioned to be produced by the institute in the coming years in relation to strengthening its gender program. IITA has already put in place workplace policies intended to assist in achieving the ultimate goal of an equal and diverse workplace, free of discriminatory practices. Some of the policies include Maternity and Paternity Leave, Compassionate Leave, and the Harassment and Discrimination Policy. They are intended to guarantee equal opportunities for all staff and contribute to the creation of an enabling environment to ensure that the activities of all staff and partners are geared towards the elimination of barriers that militate against gender equality. 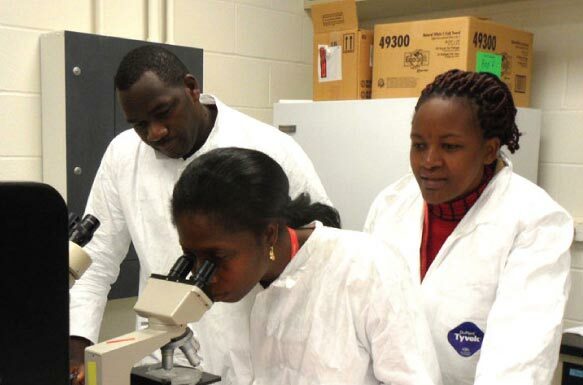 IITA is committed to providing a work environment where diversities in gender, culture, and social standing are recognized as strengthening its capacity to carry out relevant and useful research for development. The Women Empowerment Platform (WEP), established by the Director General Nteranya Sanginga, on 11 March 2014, serves to reiterate this commitment to gender diversity and equality. The Institute aims to provide a workplace in which every staff can realize their potential for excellence; and one where all programs, projects, activities, strategies, policies, and plans will be geared towards the promotion of the interests of men and women equally and equitably. With zero tolerance for discrimination, IITA continues to develop and sustain policies that foster the entrenchment of processes that support gender mainstreaming and capacity building in gender mainstreaming.